Image of the Square boom LPDA antenna. The Square boom LPDA is based on the design of the standard Log-periodic dipole array (LPDA) already in Antenna Magus. It uses square instead of round rods to form the boom that supports and feeds the dipole elements. 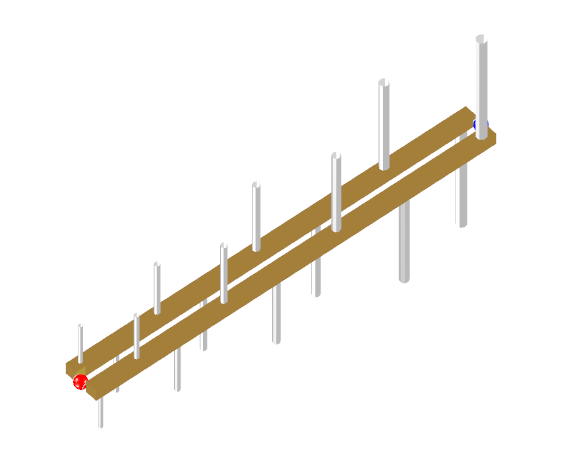 The transmission line formed by the square-boom has lower characteristic impedance for the same separation distance and this antenna can therefore be designed for lower input impedances. While the Antenna Magus design algorithm for the round-boom LPDA is limited to a minimum impedance of 100 Ω, the square-boom LPDA caters for designs down to 50 Ω (it is possible to tweak the design to achieve impedances down to 30 Ω). 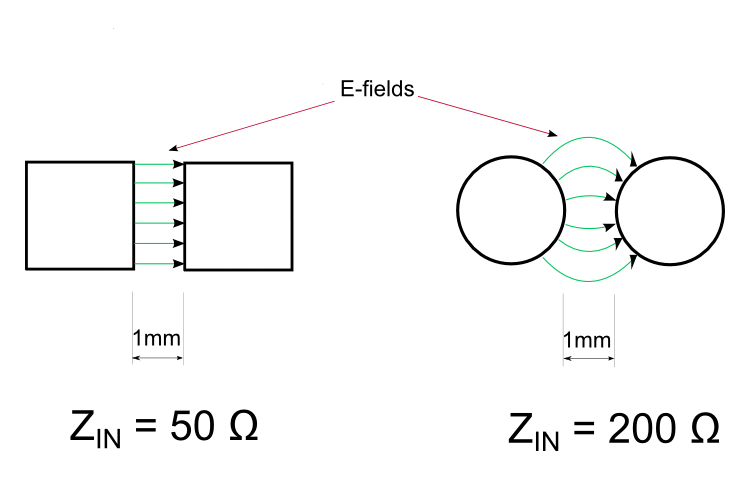 Comparison between the square- and round- boom LPDA field coupling and input impedance for the same boom-spacing distance, R.
The real impedance of the boom transmission line is directly proportional to the boom-spacing and is practically limited by the distance before the booms physically touch. 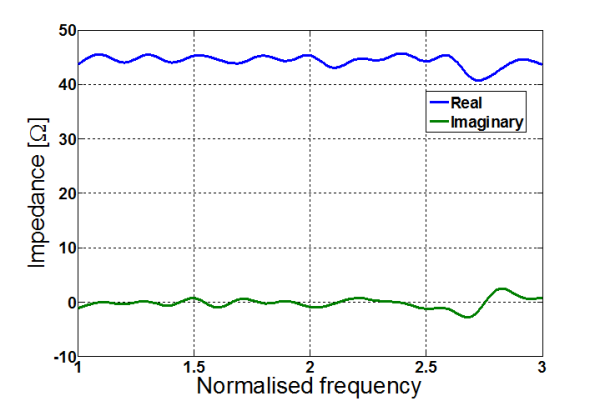 The previous image illustrates a comparison between the square- and round- boom LPDA realisable input impedance for the same boom-spacing distance, R. Better coupling between the square booms results in lower Zre when compared with a circular boom LPDA with the same boom-spacing. Antenna Magus offers two design options, i.e. optimum performance and smallest size. The optimum performance design will result in a larger number of dipole elements when compared to the smallest size design, but this reduction in size and complexity is at the expense of impedance stability over the band. 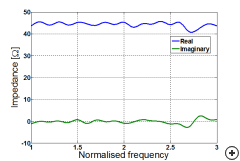 Typical real and imaginary impedance vs frequency. 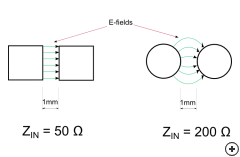 Typical total gain patterns at fmin, fcentre and fmax for a 50 Ω, 3:1 bandwidth design.